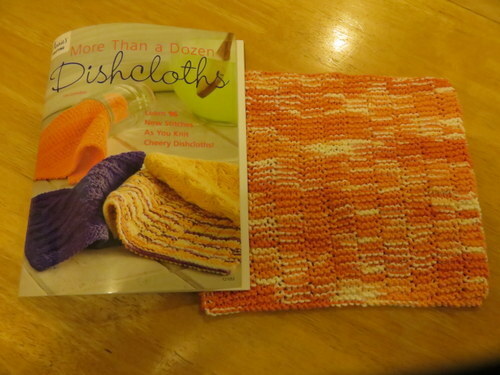 There’s a new knitted dishcloth book in town! That’s right! 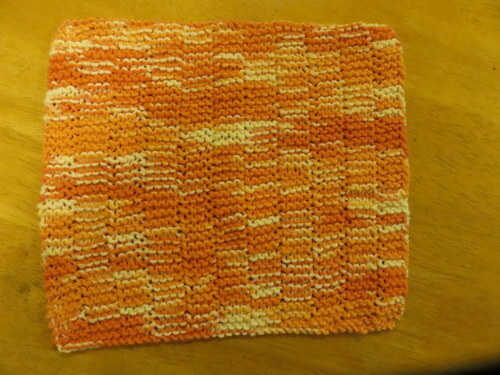 We’ve left behind the crosstitch-pattern method of knitted dishcloths and have moved on to learning new “16 new stitches as you knit cheery dishcloths” which is the subtitle of the book. This pattern happened to be knit 4 pearl 4, which is not very different from the pattern for the baby blankets I used to knit, before I discovered the receiving blanket. Also, this book names their patterns after specific yarn recommendations. I’m following my own yarn path, so the names might not always match the completed project. This was a nice start. I’m looking forward to more difficult stitches. Next Next post: Keen Eye LLC is legit!